This post is going to be a short one. I have a midterm in Petrology this Wednesday that is demanding my attention and a quiz in calculus that is being just as needy. 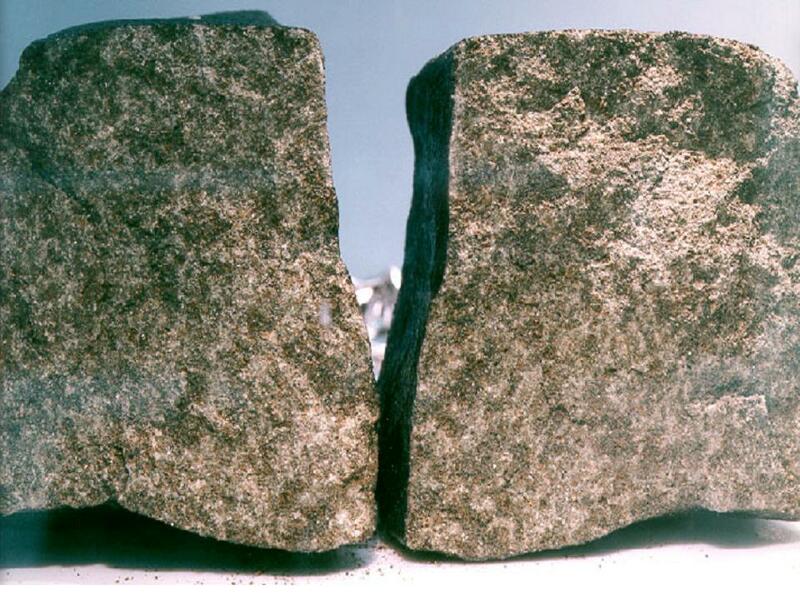 So I thought I’d put up a few pictures of the different Martian meteorites that have been found on earth. While most of these rocks look like terrestrial basalt, scientists have been able to identify them as Martian basalt because of the unique iron to manganese ratio in the olivines and pyroxenes of the Martian meteorite (1). 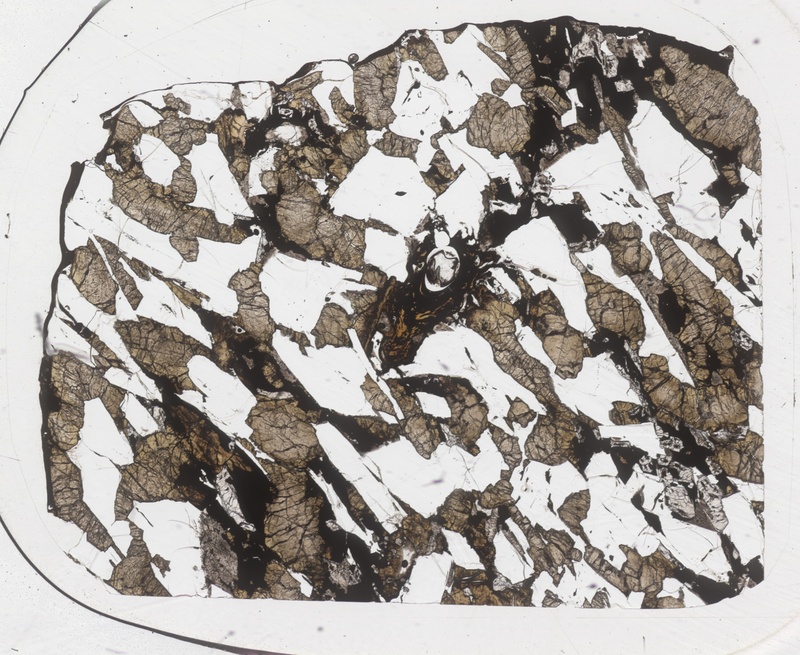 Another Martian meteorite, EET A79001, contained pockets of glass that encapsulated samples of Martian atmosphere. This data was corroborated with what the two Viking landers found in their analysis of the Martian air (2). Here’s a picture of a well known Martian meteorite- The Naklha Meteorite. This one fell in Egypt in 1911 and created the infamous Naklha Dog story. The farmer that witnessed the meteorite fall said that a stone hit a dog and vaporized it on contact. Since no remains have ever been found, the story can’t be verified true or otherwise. Here’s something cool- proof that meteorites aren’t found on our planet alone.